This will be a short update. Right now I am in Incheon airport waiting for my flight to Hong Kong. As you will see I have no lounge access, so I am sitting here in the departure area typing this like a poor person. Before coming to Incheon airport I had to change trains at Gimpo airport. Well I didnt have to but I elected to take the slow normal train to the airport rather than the faster more expensive train. 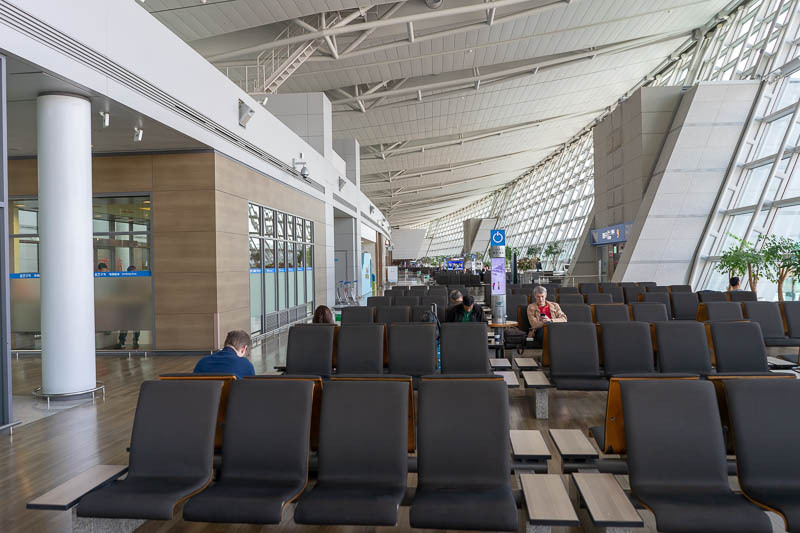 Since I was at Gimpo airport to change trains I thought I might have a look at the small airport there, which also has a huge mall, and low and behold it also has a Din Tai Fung. 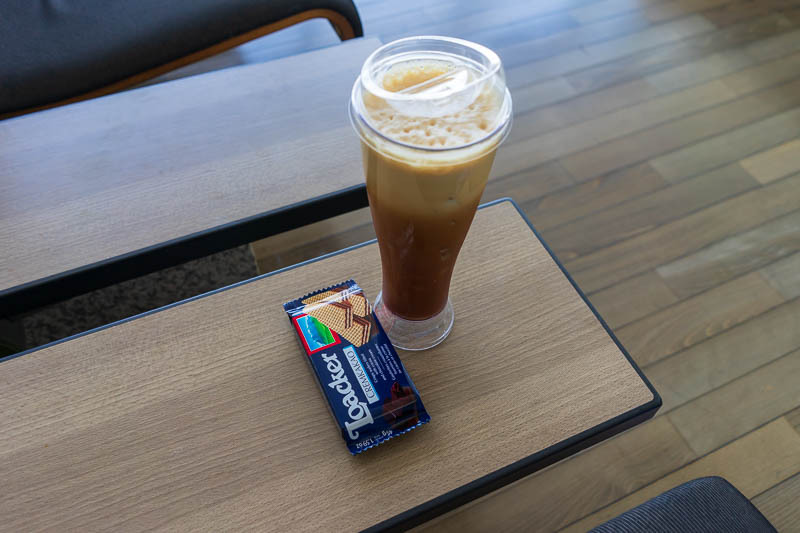 I still have Korean Won to burn so I had an expensive lunch and am now having expensive airport snacks in a concerted effort to use up my Korean currency. Onto the boring pics! 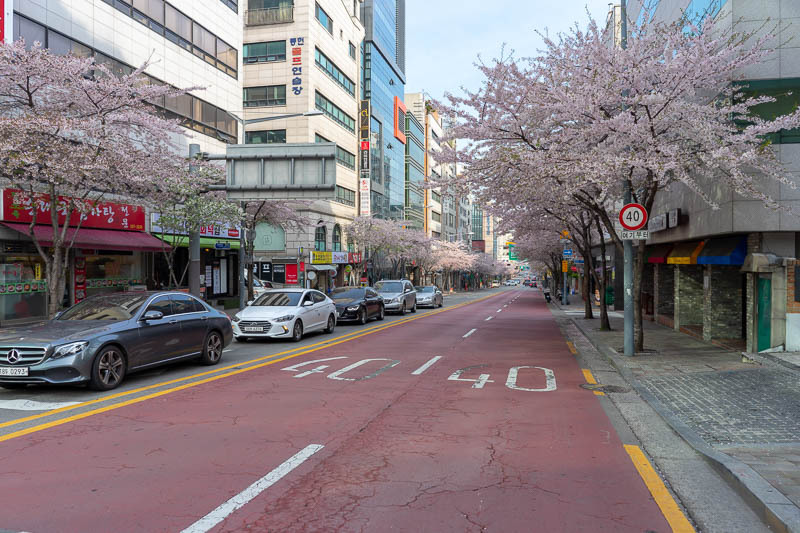 One last pic of blossoms in Korea, there will be none in Hong Kong or southern China, it is blossomeless. 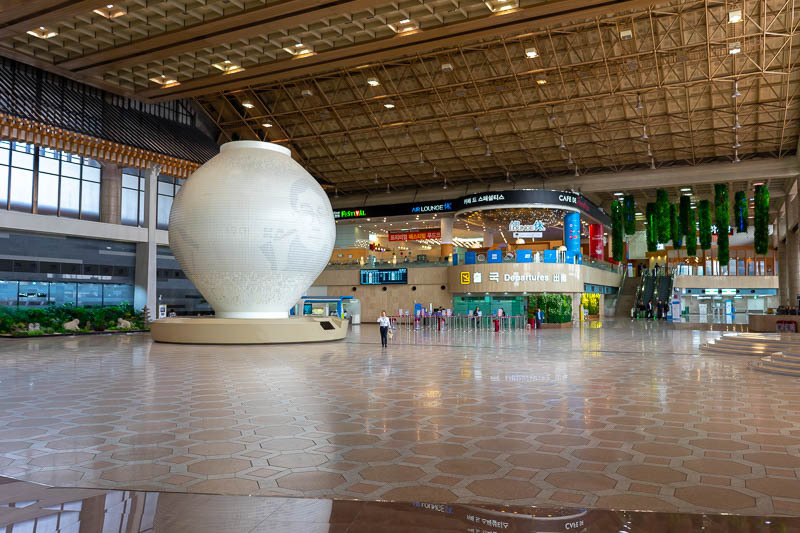 Behold the departure hall of Gimpo airport. It is massive and unoccupied. I am not sure when Incheon airport took over, but these days only a few mainland china flights and 500 flights a day to Jeju island leave from Gimpo. 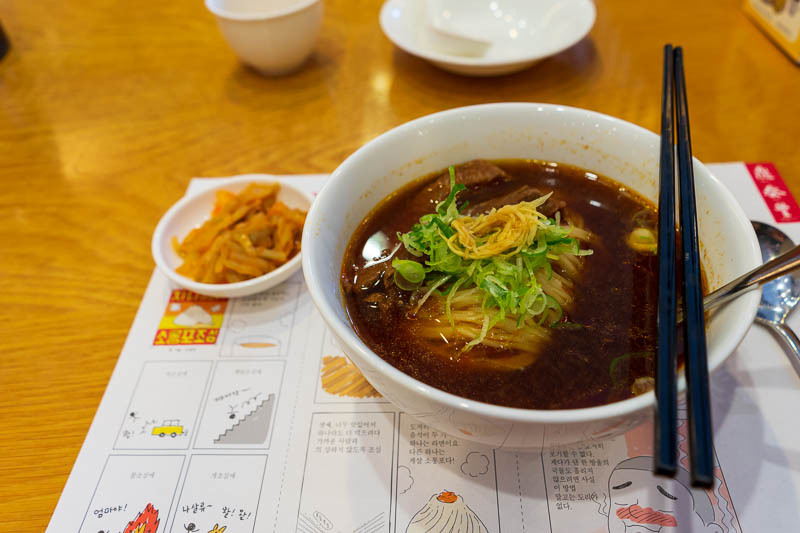 As I said, I headed into the Gimpo Lotte megamall, found Din Tai Fung, had beef noodle. This was very HAPPIFYING. 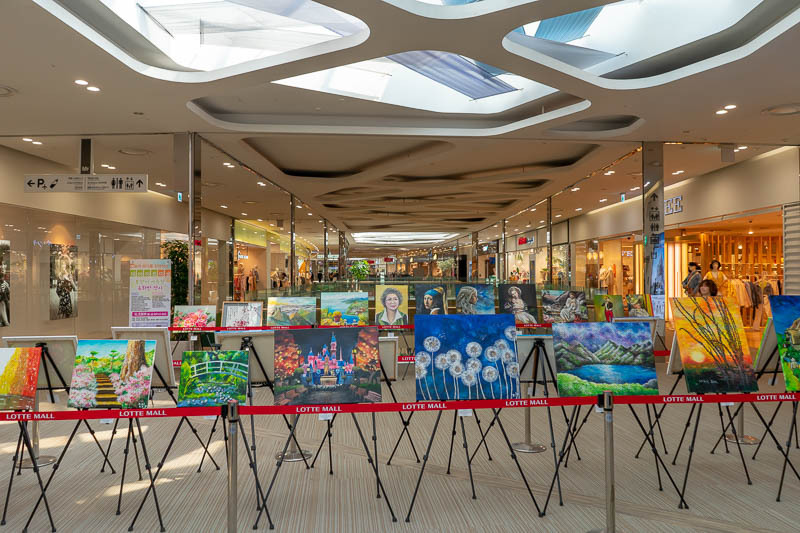 Then in the mall I judged an art contest. 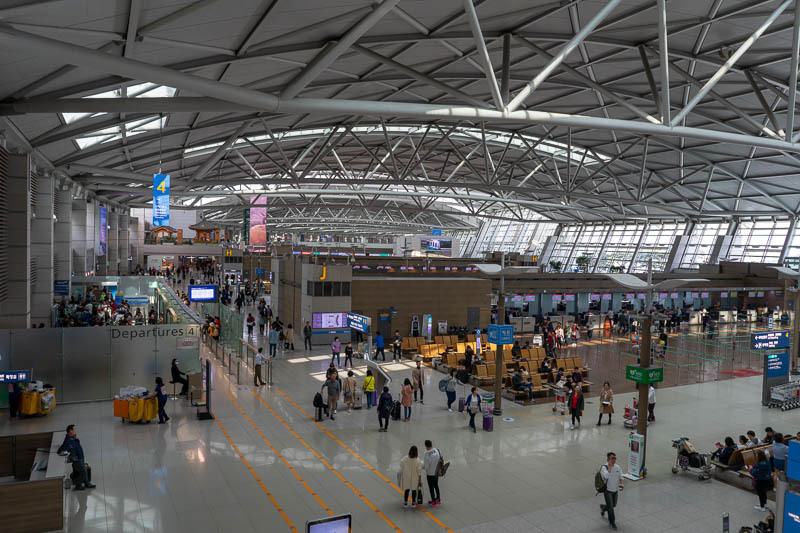 The departure area of Incheon airport, as a contrast to Gimpo above. It is a great airport. To spend my money, I ordered a single origin slow nitro pour over Guatemalan children hand picked single roast Americino espresso platinum limited. It cost about $10! My view right now...its an airport.